A great value tyre offering good durability, with excellent all-weather grip and traction. I got this for my 1950s Sun tandem in readiness for Eroica Britainnia. The route included plenty of gravel and some rocky sections. The tyre performed very well with no punctures. 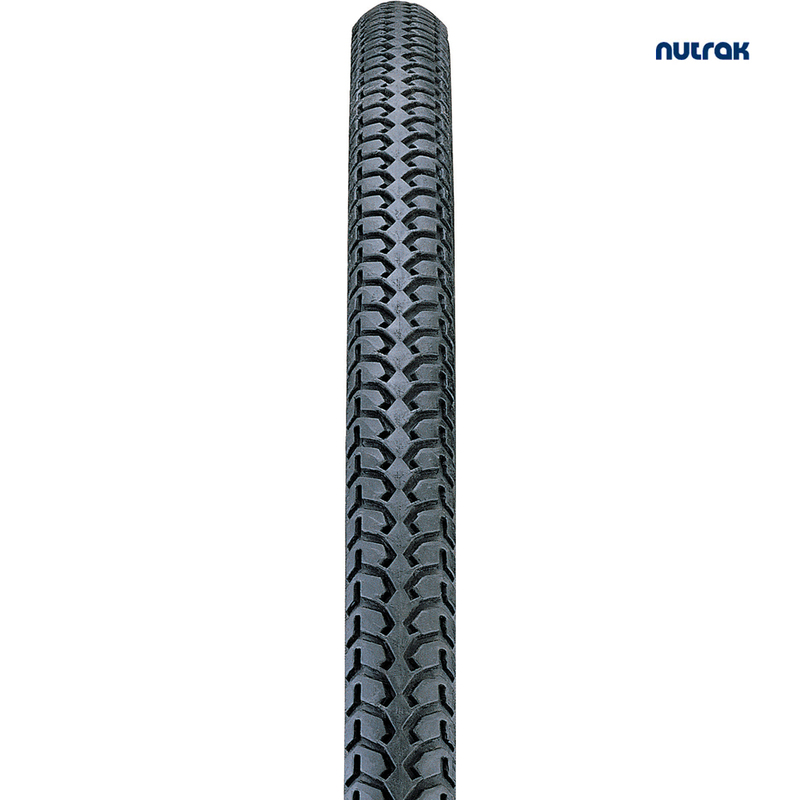 Will this replace 26 x 1.40 (38-590) Deerubber tyre? Yes those tyres will be suitable, the inner tubes that match are listed underneath the description. Can these replace a 40-590 (650x38A) tyre? Yes this will be a suitable replacement. Yes we can ship to Ireland, to get a shipping quote just add all of the items you are looking to purchase to your basket, add a valid billing/ delivery address and the website will calculate the cost for you. We don't have an inflation range for these tyres but written on the sidewall is a recommended pressure of 300KPA or around 44PSI.